67 Orange | HarlemGal Inc.
67 Orange in Harlem has come up with a creative way for all of us to share in its antiquity through a campaign titled “Become a part of history at 67 Orange.” That’s right! If you want to become a permanent fixture at 67 Orange, here is how you can stake your claim. Go to RockHub.com and choose the level of donation you would like to make. There are two options to choose from and they are limited so jump on it if you’re seriously interested. So the next time you’re at 67 Orange in Harlem, you just might be sitting your a** rhymes with brass on someone you know or better yet, we maybe sitting on your name! It’s official…again! Frederick Douglass Blvd in Harlem from 110th to 125th Street, also known as restaurant row, has its very own map, according to The New York Daily News. And the folks behind the map is an alliance group called Frederick Douglass Boulevard Alliance (FDBA). Check out the map below. It mentions all existing businesses from 110th to 124th Street. The map does not include up and coming places on FDB, such as the Harlem Food Bar or Marcos Leatherlab, the cobbler store. Lia San Filippo, co-owner of 5 and Diamond Harlem restaurant and co-president of the recently formed FDBA, tells the Daily News “the map was created to help people know that Harlem is here and helps customers find us more easily.” Amen Lia! 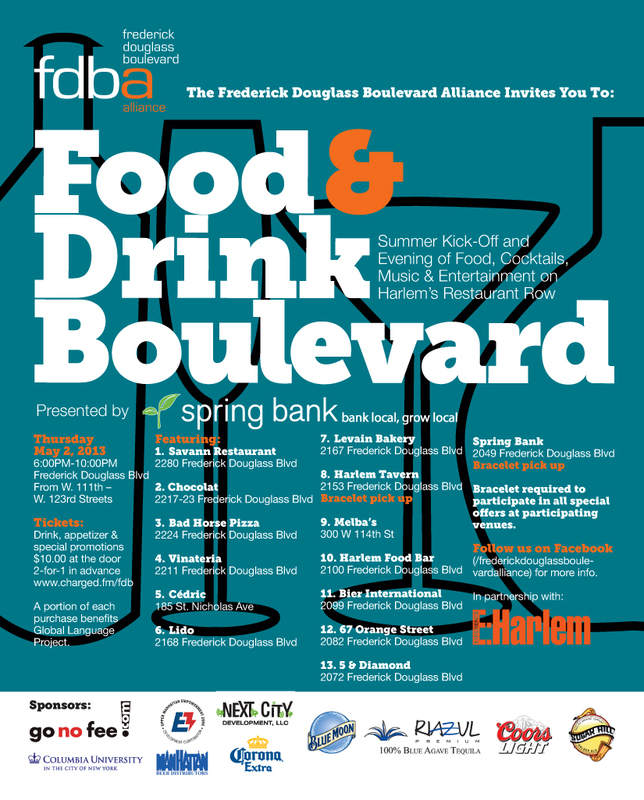 Back in 2008, I wrote a blog posting asking if FDB is turning into Harlem’s restaurant row? Looks like we have our answer not only in a map but in the form of an alliance group! 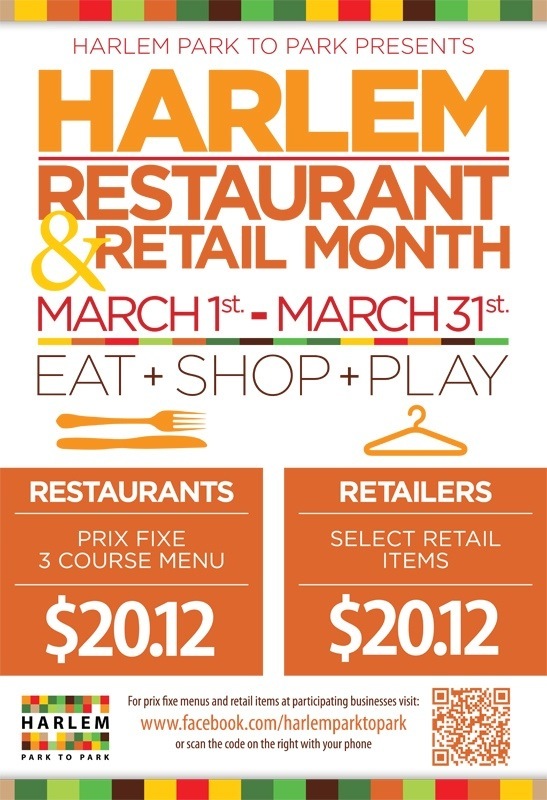 Tagged 125th street, 5 and Diamond Harlem, 67 Orange, alliance group, Bad Horse Pizza, bier international, Cedric French Bistro and Bar Harlem, Chocolat, Frederick Douglass Blvd., Harlem, Harlem bloggers, Harlem Blogs, harlem restaurant row, Harlem Restaurants, Harlem Shambles, Harlem Tavern, Harlem's Restaurant Row, HarlemGal, Les Ambassades, Levain Bakery, Lia Sanfilippo, Nectar Wine Bar, restaurant row, selene martinez, The New York Daily News, Zoma. It’s December 31, 2011, New Year’s Eve and we want to know, what are you doing New Year’s Eve? Are you going to 67 Orange, 5 and Diamond or bier international? What about Harlem Tavern? They are all having festivities tonight with….NO COVER! We also hear Lido Harlem is going to be serving their regular menu along with a bunch of specials. They are not doing a prix fix so you can walk right in and order whatever you want from the menu. Not bad! So head on over to Lido Harlem for New Year’s Eve dinner if you have no dinner plans. Or just walk along Frederick Douglass Blvd tonight and have your pick cause with most of these establishments mentioned above not charging a cover, the night will be blast and you’ll still have money in your pocket! Have a wonderful evening. Maybe we’ll see you out in Harlem? If not, Happy New Year, Harlem! Here’s the original song ‘What are you doing New Year’s Eve?’ by Nancy Wilson. Enjoy! 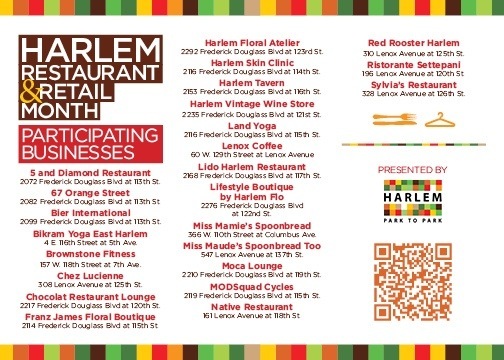 Recently, the Village of Harlem received high praise mainly on two fronts, real estate and dining establishments. In the eating out area, both DNA Info and The New York Daily News raved about how there are several great places to dine uptown and some of those dining establishments have received positive reviews in Zagats. In a separate article, The New York Daily News raved about how Levain Bakery has the best chocolate chip cookies in the City. No surprise there. Their hot and cold coffee is not bad either. Try it. DNA Info spoke to our favorite Harlem Gal and the women behind Eat In Harlem, Sakita Holley, about how Harlem now has several restaurants “to suit any mood.” Holley endorsed several eating out places starting from East Harlem all the way West. Milk Burger, 67 Orange, Hudson River Cafe and more received a thumbs up from Holley. Of course, what’s driving all these great new and interesting restaurants in Harlem is real estate or is it the other way around? The Wall Street Journal reported recently that “the number of Harlem apartment sales rose to the highest level since September 2008, according to analysis of city records. But they were only slightly above sales reported in the same quarter in 2010.” The article goes on to say that Harlem is not only performing well in the real estate area, it’s even attracting buyers who are from the second largest economy in the world-China! Check out all the articles in their entirety below! And that’s Harlem In the News! Harlem Park to Park has partnered with The Classical Theater of Harlem and Hip Hop Theater Festival to give locals a wonderful night out uptown. Purchase a ticket to SEED, a play by Radha Blank and bring your receipt or ticket stub from SEED to participating Harlem Park to Park restaurants listed in the picture for brunch or dinner (or select retailers for services) and receive special discounts and free offers starting today, September 16 through October 9.To purchase tickets for SEED, visit www.seedtheplay.com. There will be yoga demonstrators doing yoga in front of the building! Packets of material will be available that includes schedule, regular and one day only party rates, and information on wellness practitioners: Ed Genece, Serena Dawn, and Candice Taylor! All retail will be 10% during the party! Free reiki or wellness treatments and henna will be offered! The yoga room will be decorated in a moody world theme with flowers and candles by Franz James Floral and accented with music design by DJ David Chang. There will be a sampling of all natural, no cal sokenbicha tea by Anita Bryant. Food and Drink will be provided by 5 and Diamond, 67 Orange, bier international, Harlem Tavern, Lido Italian Restaurant and Bar, Nectar, Red Rooster Harlem, Society, and Zoma. Land Yoga will announce one day discounts, which can be added to any existing package. A PERKS program will be launched, which will offer gift cards from bier international, Lido, and Society for 3, 6, and 12 month Land memberships. 3, 6, and 12 month members also get in-house perks such as 5%, 10%, and 20% off wellness services and retail discounts too! Also, Land Yoga will introduce a Friday night interactive workshop series, a workshop on Mindful Eating hosted by wellness guru Candice Taylor and based off the book Savor, which is sold at Land Yoga. Special guests include the local Daily Troop. They will be in attendance in uniform. Land Yoga is a site sponsor for the local Daisy troop. And most importantly, Land Yoga will be raising money for a local food bank. So a lot is happening for Land Yoga’s celebration. Come out Saturday afternoon and have some fun with us. I will be there as well as some of my fellow yoga classmates! Hope to see you there! On June 21, look around in Harlem. You may hear music everywhere. Harlem Park to Park (HP2P) and its HP2P businesses are taking part in Make Music New York, the citywide free live musical celebration on Tuesday, June 21st. From 11 a.m. to 9 p.m., participating Harlem Park to Park businesses will become impromptu outdoor stages offering live musical performances and some select specials. A complete list of business are listed below.